We pride ourselves on giving a service that’s tailored to the needs of our clients. To do this we enable business owners to select an appropriate level of cover for their specific business needs and financial budget. Whether you already have a small HR team or manage everything yourself, we can help. If your business and HR needs change along the way, that’s fine, we can adapt our support accordingly. 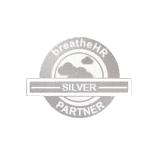 We really want you to think of us as your business’s HR function, so we are there whenever you need us. We can provide you with regular support each month on an ongoing basis. This may be a couple of days or just a few hours to work on any issue or project you need support with. You can contact us whenever you need our support and we’ll invoice you on a monthly basis. We have a basic hourly rate and charge for a minimum of 15 minutes. If you or your HR team have a specific task, such as a recruitment campaign or training project you’d like our help with, we can plan a budget in advance, so you know how much everything will cost upfront.